The Caribbean Prestige Foundation (CPF) is working on creating a relationship with Grenada that would give both local and Grenadian artistes greater career opportunities. 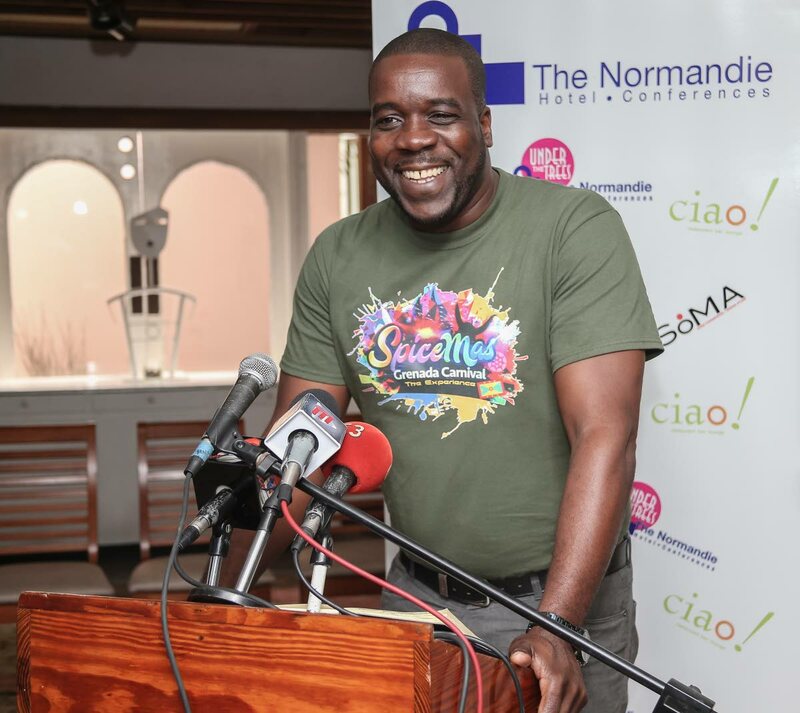 Grenada’s Minister of Youth, Sports, Culture and the Arts, Norland Cox, made the statement yesterday during a press conference the Normandie, St Ann’s. He was invited to attend the CPF’S Play Whe International Soca Monarch (ISM) semis today to support the five Grenadian artistes in the competition. These included Hollis “Mr Killa” Mapp, Hector “Mr Legz” Thomas, and Dingaan Henry and Nyelon Williams, aka Lil Natty and Thunder, in the Power Soca category; as well as Mandella “Mandella Linkz” McDonald, and Jevaughn “V’ghn” John in the Groovy category. Cox said the CPF and the Spicemas Corporation were working on the logistics of “some sort of exchange” for the monarchs from each country to visit the other and experience what each had to offer in terms of soca products. He said his government was open to any of the TT monarchs to visit Grenada to perform as a guest artist at any event for Grenada carnival. “We have the opportunity here for our artistes to have a platform in Trinidad, we will provide that opportunity for Trinidad calypsonians to have a platform in Grenada by way of performing as a guest artist at one of our premiere shows. He admitted that the world looked to TT to “certify” a soca artiste so performing at the ISM could do that for his artistes in addition to being excellent exposure to the bigger soca market of TT, and opening opportunities for them to partner with local artistes. Cox said he was happy Grenada could be part of Carnival as he believed they would add value to it. He also invited the people of TT to attend the Spice Mas Festival in August 12 and 13. Reply to "Grenada, TT in Carnival link-up"